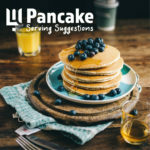 With pancake day just 1 sleep away, we thought we’d share a few of our favourite recipes for pancakes. Whether you’ve got a sweet tooth, or you’re more of a savoury fan – we’ve got something for everyone. 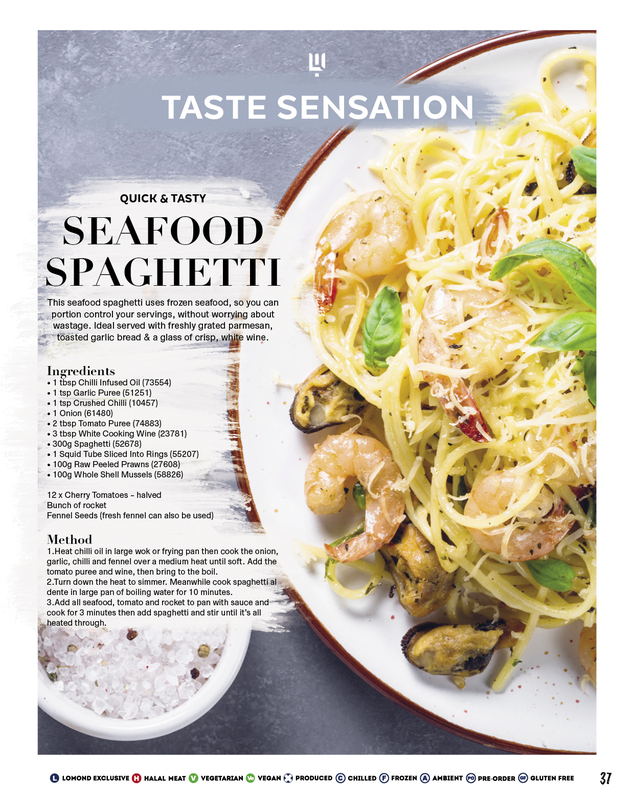 With Valentine’s Day just around the corner, we thought we’d share some delicious recipes, helping you offer your customers something delicious to treat their loved ones to. 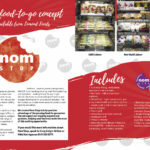 Now that January is over and we’re well into 2019 already, we thought we’d look back on an eventful month for Lomond Foods – what a great way to start the year! It’s almost here…time to cuddle up to your one-and-only and treat them right! 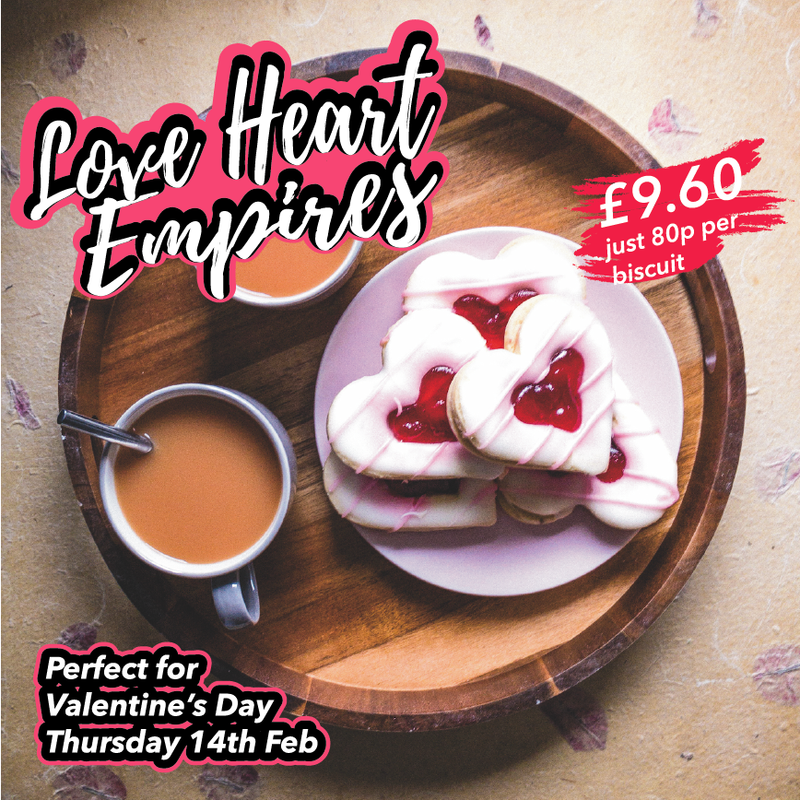 You can now order our lovely Heart-Shaped Empire Biscuits, just in time for Valentine’s day. Heart-shaped biscuits with a cutout, sandwiched with fruity jam and finished with pink and white fondant icing. These are ideal for a coffee shop special, served along with a cuppa or a nice end to a meal alongside a coffee. Priced at £9.60 for a box of 12 – just 80p a biscuit – these are a great way to bring some lovin’ to your customers. While we’re on the subject of Cake, how about a showcase day all about our sweet treats? We’re hosting a showcase day at our Bakery in Thornliebank on March 13th. Our usual showcase days cover everything food-to-go as well as a tour of our Glasgow depot, but we wanted our customers to get the full Cake experience this time around. As well as a tour of our bakery and a Cake-based presentation you’ll also get to try as many of our Cakes as you can from our display. So whether you’re looking at loaf cakes for your cafe, traybakes for your snack van, or show-stopping triple-layer cocktail cakes for your coffee shop – we’ve got you covered. 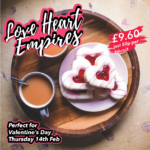 To order our love heart empires, or find out more about our showcase days, speak to our team on 0141 353 6777 or contact your sales rep.
To celebrate the launch of our new Cake website and some delicious new products, we’re holding a ra-ra day for telesales, with great deals on new Cake products. 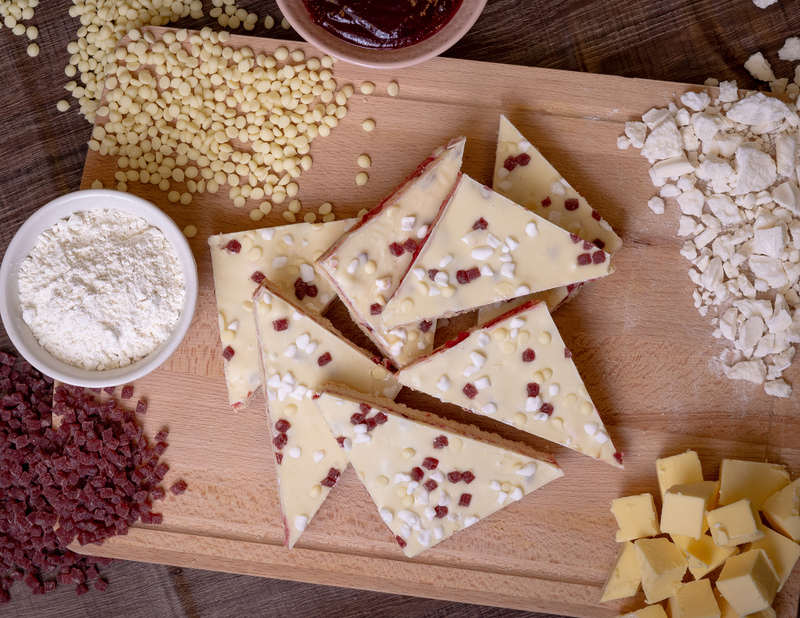 Our new Eton Mess Traybake is only £7.80 – that’s just 65p per portion. 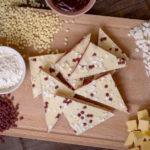 Crumbly shortbread base, with a layer of fruity jam, meringue pieces and raspberry pieces, topped with luxurious white chocolate. 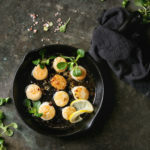 The perfect twist on a classic favourite. 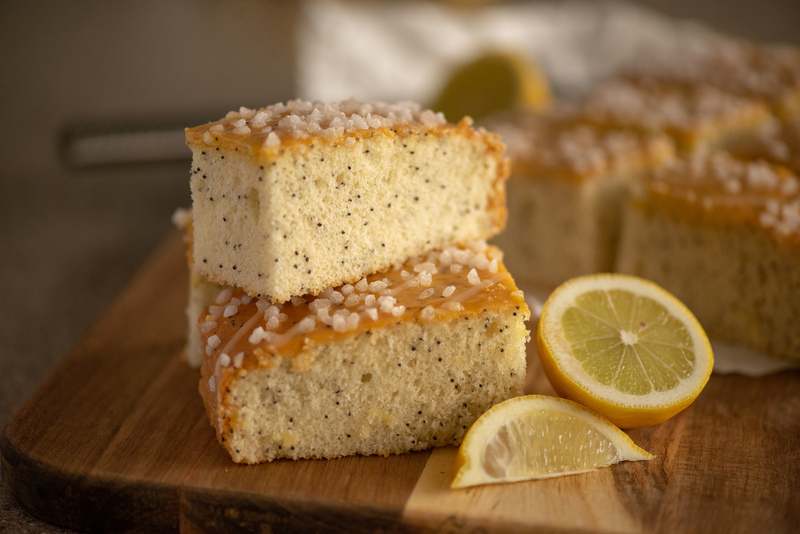 The Lemon Drizzle Traybake is another classic flavour combo and available for only £5.99 per tray – that’s just 42p per portion. Soft, lemon & poppyseed sponge, drizzled with a sweet lemon syrup and finished off with a swirl of icing. 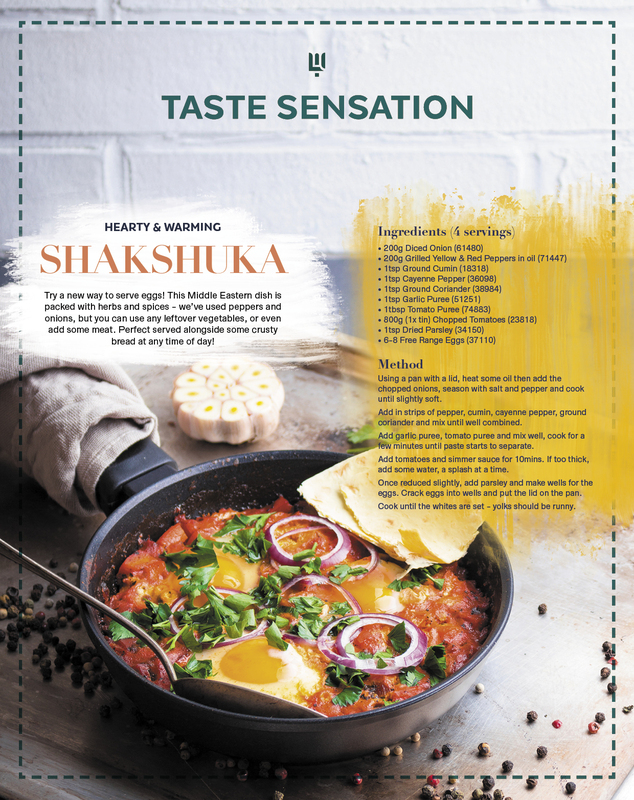 Light, delicious and perfect with a cuppa! 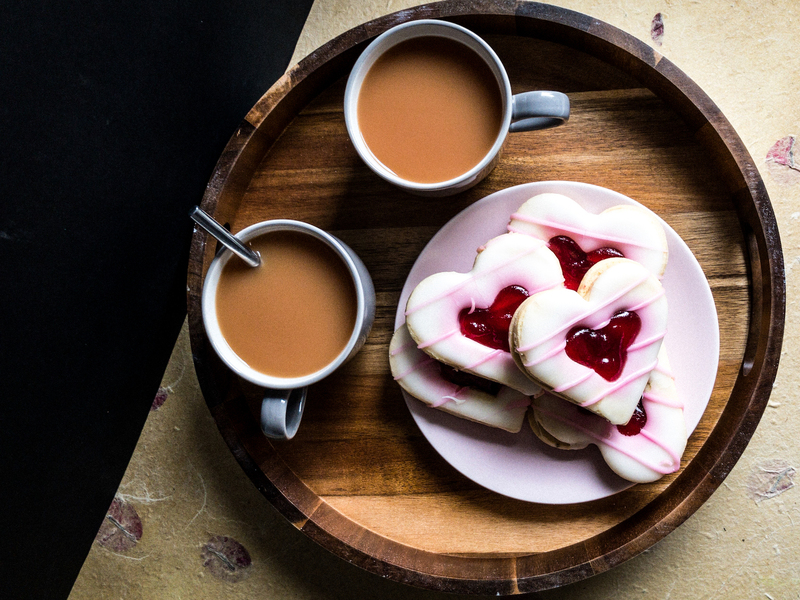 Keep your customers (and cupid) happy this Valentine’s Day: the return of our Love Heart Empire Biscuits. A classic favourite, made even more LOVELY. Two love-heart shaped shortbread biscuits, sandwiched with fruity jam and topped off with white icing and pink stripes. £9.60 for a box of 12 – just 80p per biscuit! We might have been speaking a lot about vegan and vegetarian diets recently (check out our social channels if that’s more your bag) – but don’t worry – we’re still committed to offering a huge range of butchery products – from poultry and beef, to game and lamb – we’ve got everything you need. 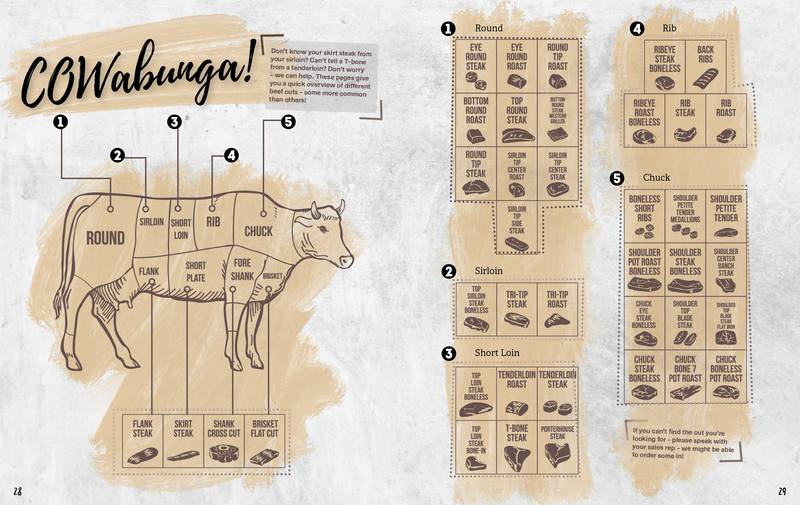 To help keep you informed, we’ve created a handy guide to cuts of beef. 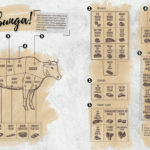 This guide covers everything from head to tail -the occasional cut might not be listed on our product list but if it’s on this diagram – we can get it for you! 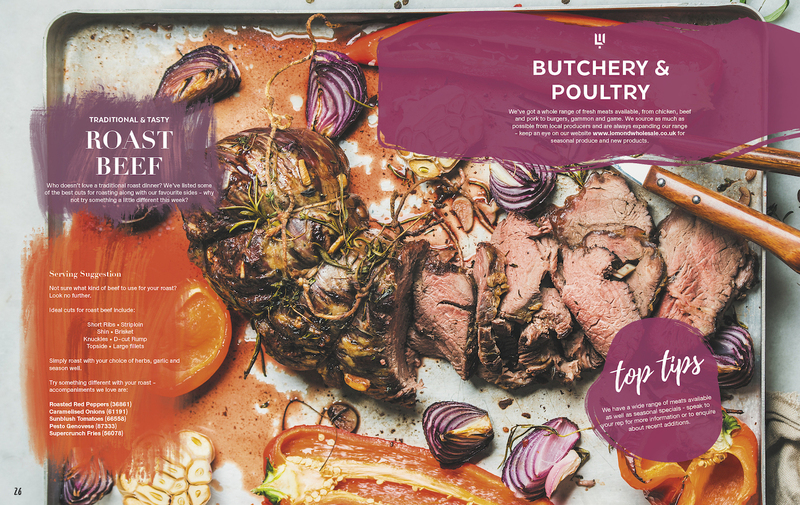 We’ve also included a handy guide to which cuts of beef are best for roasting – that’s on page 26 along with some suggested sides – we like to do things a bit differently here at Lomond! If you’re looking for help with the best way to cook certain cuts of meat, you can speak with our highly trained sales team. We have a wealth of knowledge across the teams – from buying to telesales and our sales reps – we’re sure to help you no matter what you’re query. For more information on our range of butchery products, speak with your sales rep, or call the team on 0141 353 6777. As many of you will be aware, here at Lomond we have our very own bakery, specialising in cakes, traybakes and scones – distributing those all over Scotland and the UK. 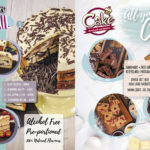 On pages 10-13 of our 2019 brochure, we’ve got our full Cake listing, as well as a double page spread on some creative new products and delicious triple-layered cocktail cakes – don’t worry, they’re alcohol free! Our range is constantly expanding, thanks to our in-house NPD team and under the watchful eye of the bakery boss, Lauren, the Cake team hand make all our bakes to the best possible standard. Some notable new additions include our bundt cakes – mini versions of the classic bake, available in 4 different flavours, each as popular and lip-smackingly yummy as the next – Lemon Drizzle & Poppyseed; Chocolate & Walnut; Cherry Bakewell and Raspberry & Coconut. The cocktail cakes are inspired by classic cocktails, using only natural flavourings and not a drop of alcohol in sight! You can choose from – Gin, Lemon & Lime; Strawberry Bellini; White Russian and Blueberry Mojito – a difficult choice if we say so ourselves. Keep your eyes peeled for many seasonal treats including halloween crispies, love heart empires for valentines day and easter slices – complete with chocolate eggs. Whatever your sweet treat needs may be, you can be sure to find a solution from Lomond and Cake. To find out more, speak to your sales rep, or call the team on 0141 353 6777. 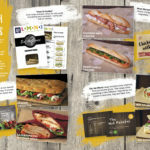 This morning we’re continuing our look inside the 2019 product brochure – this time, focussing on our food-to-go sandwich concepts. 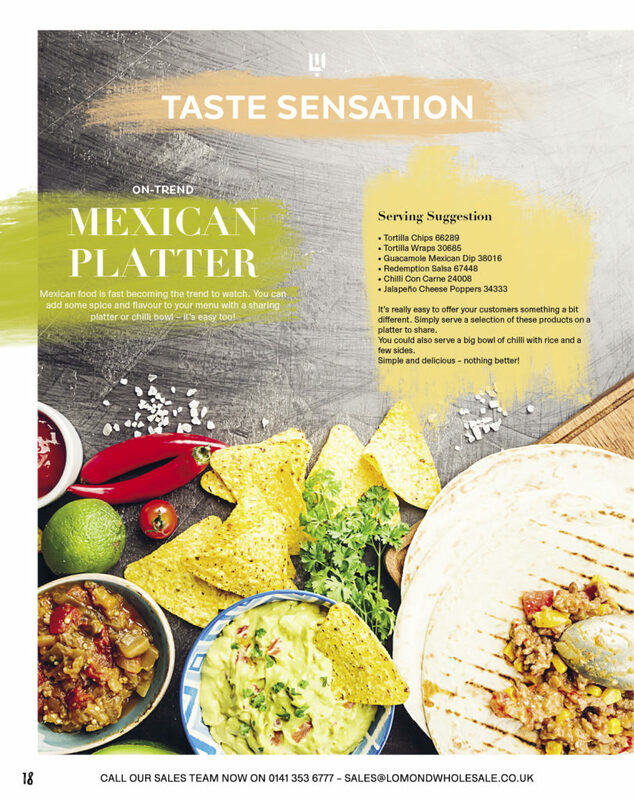 You’ll find everything you need to know about our range of tasty lunchtime eats on pages 8-9. 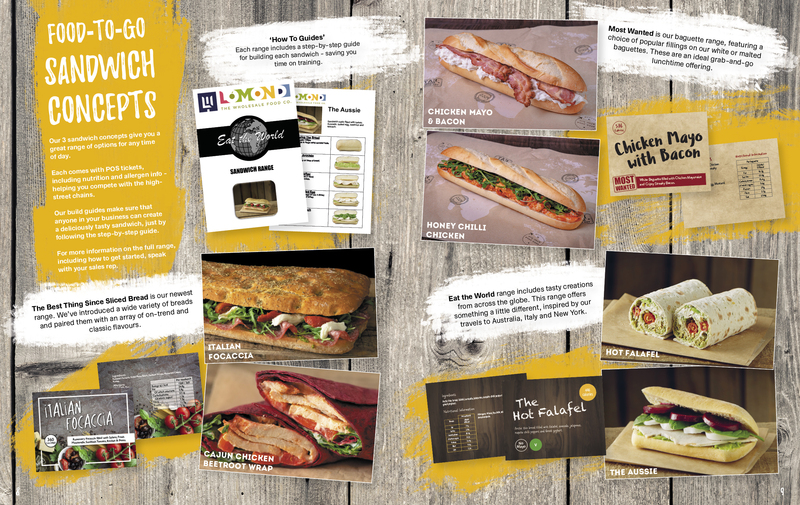 We have 3 ranges of sandwich concepts to choose from, each aimed at a different consumer, helping you take advantage of every opportunity. These are all designed to be made in advance, then kept in the fridge so your customers can grab and go – helping you manage staffing, time and reducing the queues during the lunchtime rush! 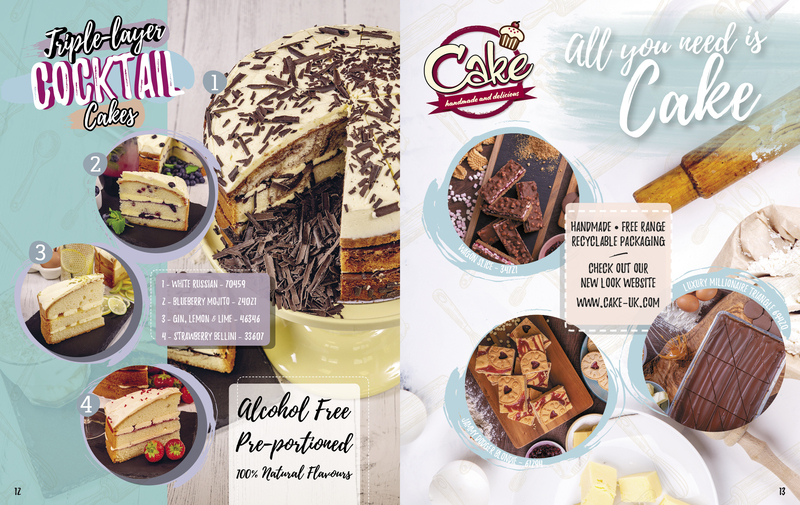 All of our ranges come with their own POS, detailing calorie and nutritional information, as well as build guides – these are step-by-step guides, with pictures, meaning anyone of your staff can pick up the manual and create perfect results every time. The Most Wanted range includes classic flavours, such as Tuna Mayo, Chicken Mayo & Bacon and BBQ Pulled Pork, served on either a malted wheat baguette or a white baguette. 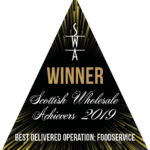 Our Most Wanted range is also a part of the offering for our food-to-go all-in-one solution, giving you a complete set up to start offering food to go in your business. 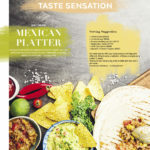 Eat the World features flavours from across the globe: our team travelled the world to bring you the tastiest eats and breads from the USA, Australia and beyond. Flavours include the vegetarian Hot Falafel – spicy roquito peppers with falafel, yoghurt, jalapeños and avocado; The Aussie – turkey, avocado, beetroot and spinach and the PPP – BBQ pulled pork on our pretzel bun, with coleslaw and pickles. The Best Thing Since Sliced Bread showcases some of our more inventive breads, such as our focaccia sheet, filled with salami, mozzarella, pesto, sun blush tomatoes and rocket; our beetroot wrap, filled with cajun chicken and peppers – guaranteed to be an eye-catcher! 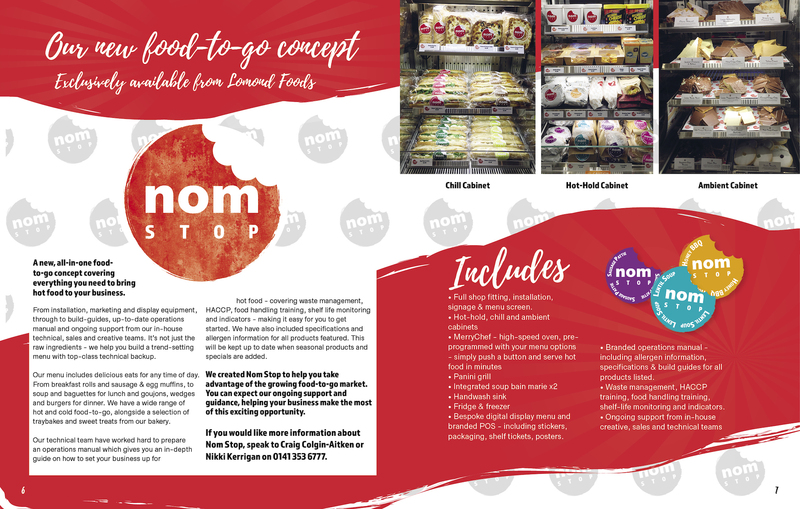 If you want to find out more about any of our sandwich ranges, Nom Stop, or any of our other food to go products – you can speak with your sales rep, or call the office on 0141 353 6777.